As the old saying goes, 千里之行，始於足下. Our journey of 1,000 li has just begun, and we are psyched! This past week was a blur of trip preparation. At home, students were working to pack like travelers rather than tourists, staying light and intentional. In school, we worked on team building, safety training, and did a deep dive on cultural expectations in western China. One activity earlier in the week was a scavenger hunt in Golden Gate Park. The purpose, from the teachers’ perspectives, was to put the students in a situation where they would need to work as a team, support each other, and stay safe. This gave us opportunity to coach them on mindsets and habits they will need in China. Students were divided into groups and given a task to complete in the park (clues were all in Chinese). In the picture above, you see O Laoshi giving instructions: stay together; communicate with each other; be aware of your surroundings. After the activity, we debriefed and shared our observations. We were proud of the students, and gave each of them individual feedback on goals they can set as travelers. Later in the week, the sixth grade went to the Asian Art Museum to study symbolism in Chinese art. We were particularly interested in Buddhist symbols and iconography, since we will be staying in a region of China heavily influenced by Tibetan culture and religion. Sixth graders are not, by nature, fascinated by porcelain bowls and 700-year-old chairs. But when they know that what they are observing is related to a real world experience they will soon have, their attention expands and their observations deepen. Here, three 6th graders examine early Qing dynasty porcelain. By the end of the afternoon, they knew why pomegranates tend to symbolize fertility in Chinese art; why Taoists view a crane as a symbol of longevity; and why a magpie is a symbol of good fortune. We carried this exercise into a discussion of symbolism in other cultural contexts. Students analyzed Da Vinci’s Last Supper and this exquisite example of 16th century Islamic art. What symbols appear in Da Vinci’s work to clue viewers in on the identities of each of the 12 Apostles? And what clues can help us decipher the identities of the figure in the Islamic painting? If there was a theme to our week of preparation for our trip it was “awareness.” We are asking the students to be aware of how they are feeling; aware of their how they are making those around them feel; aware of small, easy to overlook details. We board the plane in a few moments. About 16 hours from now, students will be on stage in Beijing, telling stories of San Francisco. This will close the second part of their three part project, Tales of Two Cities/ 双城记. Our adventure in China began immediately after touching down in Beijing--we jumped on a bus and headed to Daystar Academy for our “Stories of San Francisco” event. PKS students told tales of San Francisco, each from the perspective of a San Francisco resident whom they had gotten to know during the course of this project. Our effort was to paint a diverse, truly representative picture of our home. We told the story of a Chinese immigrant, of a VC investor, of an Uber driver, of a homeless woman, of a city council member, of a nanny, and more. Our hosts had a lot of questions about life in San Francisco. After the event, we shared pizza with the students of Daystar, played Ping-Pong, and even did a little breakdancing. It was then off to our hotel for a short and fitful night of jet-lagged sleep. After a 3:30am wake-up, we went back to the airport and took the four-hour flight to Dali, arriving at the Linden Center around noon. We are now settled in the beautiful courtyard that will be our home for the next ten days. The courtyard is a national heritage site, with the same preservation status as the Great Wall. We have it all to ourselves, including the kitchen and dining room, the library, and a classroom. We did a quick orientation and chatted with Brian Linden who co-founded the Linden Center with his wife, Jeanee. Brian told us his story of coming to China from Chicago, of following his dreams, and of being willing to take risks to create something new. We are staying in a courtyard called Yang Zhou Ran. Brian told us the history of the site, and a bit of the historical reason behind Dali’s existence. This information came in handy when O Laoshi and Wu Laoshi led the students on a scavenger hunt in the local village. The students oriented themselves with maps and hunted for everything ranging from silk worms to exotic local spices. To add energy to the activity, we promised that any student who completed 6 out of the 8 tasks would get ice cream after dinner. At closing circle, we heard “roses and thorns” and discussed ways we could best take advantage of the trip and embrace the traveler’s mentality. Students decided they would do the dishes after each meal at Yang Zhou Ran, helping the Ayis in their work. They also decided to do closing circles entirely in Chinese. Finally, they pledged to try a silent meal (eating mindfully without talking). Our very long day ended with a walk in the village under the moonlight. This is a quiet place, with the faint smell of both incense and corn in the air (the former from the many local temples, the latter from the fresh corn that is being harvested at this time of year). The students are content, exhausted, and excited to begin the final portion of our project: learning the stories of Dali. When half of our crew awoke at 5am, we peeked outside to see a sky full of stars. Looking up from our courtyard, it was as if we had a framed black canvas covered in a thousand diamonds. One student identified Orion; another saw Cassiopeia. Wu Laoshi told a local story of a constellation that looks like a monkey riding a bear. She learned the story when she lived in a nearby village (she was a Teach For China volunteer, China’s equivalent of Teach For America, and lived and taught for two years in the village of one of China’s impoverished ethnic minorities). Slowly, the rest of the group got up, showered, and came out into the cool morning air. We shared hot water with lemon and got our breakfast going. 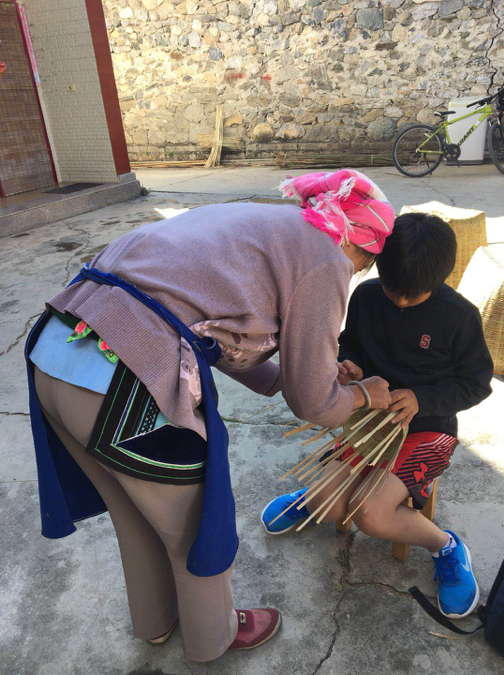 We then went to our classroom and O Laoshi explained the task for the day: we would be broken into small teams, each of which would head out to a local temple. Each team would need to find answers to a series of questions about the temple, and be prepared to teach the rest of the group the answers they discovered. When was the temple built? Who is at the center, and who is at the periphery? Who worships here? What rituals take place here? How is the temple funded? A local guide explained to the students that to be respectful in the temple, one should not step on the threshold between the street and the temple (it would signify you are stepping on the shoulders or head of the gods); one should not take photos; one should take off your hat; one should point with your palm rather than a single finger; and if one donates to the temple, one should seek to do so in multiples of 8, never multiples of 4. One group was sent to a Buddhist temple, another to a Taoist temple, still another to a temple dedicated to local Bai gods, and finally a group was sent to the most complex temple of all (dedicated in part to the worship of Ghengis Khan, in part to Confucius, and in part to a variety of “ben zi,” a kind of highly localized deity). After this morning activity in small groups, we returned to our courtyard home and had lunch and a brief rest. We then hopped on our bikes and visited each of the temples. Every student had a chance to take the role of the teacher and explain what they had learned. At the final temple we visited, we lucked out: we happened upon a monthly Bai festival. Women were in the temple playing music, burning paper money, and making offerings to Guanyin, the goddess of mercy. Students were pushed into their stretch zones in a variety of ways. First, many of the locals we spoke to speak heavily accented Mandarin. Students had to use communication skills that go beyond how many vocabulary words one knows; patience, curiosity, and flexibility were as important in this situation as was knowledge of perfect Putonghua. Second, students had to show resilience. As the afternoon wore on, some students felt jetlag hit them. As a group, we discussed ways to keep our minds focused when our bodies seem to be demanding that we disengage from an activity. One student took more than 25 pages of notes on the day’s adventures. When asked why he was working so diligently, he said, “I don’t want to forget anything that happened today.” It was a long, wonderful day and as students now giggle on each others bunk beds and settle into some journaling time, we are thankful to be able to share these experiences with them...experiences we hope they will remember forever. These past two days began with east-meets-west breakfasts; we had scrambled eggs and toast, along with 饵丝 (noodles in a semi-spicy broth; a local favorite). After breakfast, students headed up to our classroom for a discussion of the project work for the day. Students were matched with local craftspeople with whom they will spend about 4 total days over the next week. We will learn their stories and how they relate to Dali history. Interviewing the local partners has proved both challenging and rewarding. The challenge comes from interacting with people who do not speak very clear Mandarin (most speak Dali dialect, or Bai dialect). Another challenge comes as our students overcome feeling shy. Finally, students face cultural challenges: what questions are appropriate? How do you “warm up” an interview subject and build trust so that they will give you honest answers? One example: Two students are interviewing the caretaker at a local museum. They have worked carefully to ask him questions about the Anti-Japanese War and the Cultural Revolution, sensitive historical subjects. To prepare for their second day of meetings, they did some research on both historical events so that their questions would have nuance. And, at one point during a conversation with the caretaker, he opened up about the stories he heard as a child about the Flying Tigers and how much they helped protect Yunnan from the Japanese air force. Our students are learning to have patience, interact with maturity, and build trust. At the end of each of these long days, students relaxed by playing “Kill the Landlord” (a favorite Chinese card game), watching movies (Paddington on one night, Up on another), or heading out for evening strolls for snacks. We are feeling settled in to our temporary home. There is much work left to do, but we are ready! Yunnan Province is on the far southwestern edge of China. To the south, the province borders Vietnam, Laos, and Myanmar. To the west are India, Bhutan, and the rise of the Tibetan plateau. Historically, the region has moved in and out of a relationship with various Chinese dynasties, and about half of those living in the province today remain non-Han. 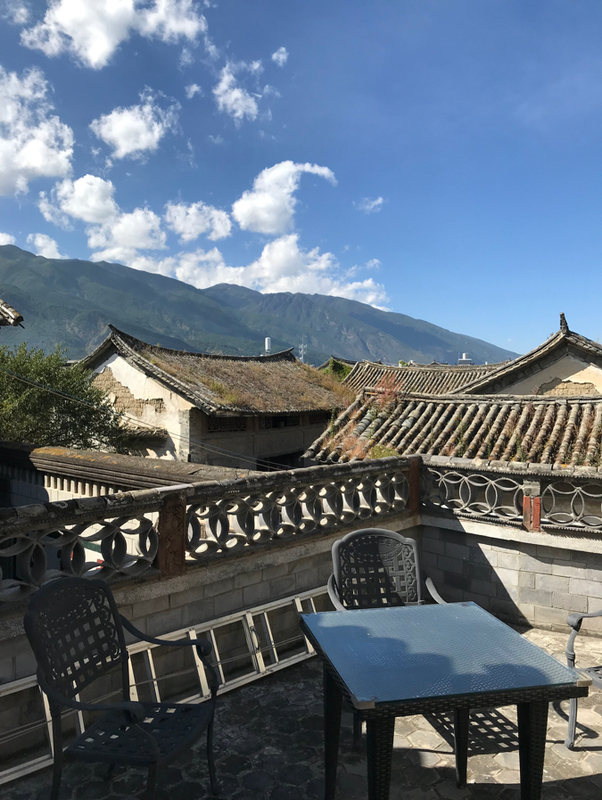 In Dali, most people come from the Bai ethnic group and trace their roots back to the Dali Kingdom, a Buddhist empire that lasted from the 10th century until it was conquered by the same Mongolian army that establish the Yuan Dynasty. It was only at this time, the late 1200s, that the region was fully incorporated into China. We are staying in Xizhou village on the far northern edge of Dali. The village has about 2,000 people, almost all of whom are Bai. In fact, this entire region is known as the “Bai Autonomous Prefecture,” making it something akin to a Native American reservation in the United States. 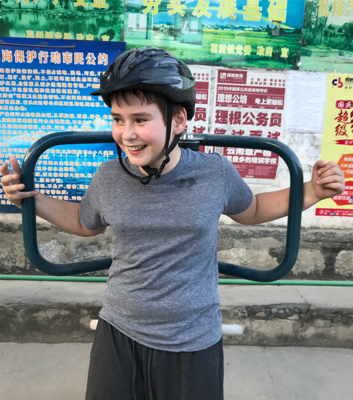 As our students have learned this basic history and become more comfortable in the village, they have begun asking those they meet questions about life on the edges of China (physically, politically, and ethnically). They spent today meeting with their local partners, then teaming up to begin writing the stories they will tell at our closing event. Tomorrow, we begin advertising the event in the village... and the kids are already well-known enough that we think we will have a big turnout next Wednesday evening. While we are proud of the kids for taking their project work seriously, we are actually feeling more proud of them for what the are doing with their down-time. Today after lunch, during our daily 休息, students were given permission to take our their gaming devices... and not a single student did so. Three students went on a walk to buy snacks and watch some of our neighbors play mahjong. Others stayed on our campus and played Kill the Landlord or badminton. Three others went with Wu Laoshi on a bike ride to Erhai lake. Another sat and sketched. And two more wrote feverishly in their journals. At closing circle tonight, we told the kids how proud we are of them for continuing to embrace a traveler’s mindset. They are learning a lot about this unique part of China. They are also learning a lot about themselves. We hope that travel of this sort shows them how joyful it can be to mindfully move through the world, and to say “yes” to adventure. As an old Chinese saying goes, 择日不如撞日 “an opportune day is better than a chosen day.” Upon arriving in Xizhou, we discovered that our stay here happens to coincide with the annual harvest festival - 丰收节. Of course we adjusted our itinerary to make room for it. A new, special experience for the teachers as much as the students! The celebration began with dragon dancing and offering to the gods. Some observant students noticed the unusual phenomenon that the altars faced different directions. Upon some inquiry, we found out that Xizhou people dedicate the harvest not only to heaven and earth, but also the four directions. 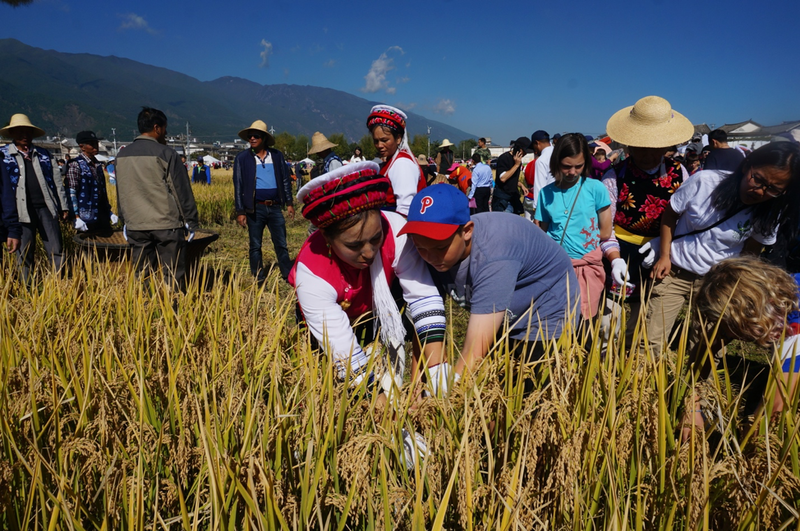 Then, local farmers taught PKS students to harvest rice the old-fashioned way. Students pulled stalks of rice together and cut them with sickles like true proletariats. 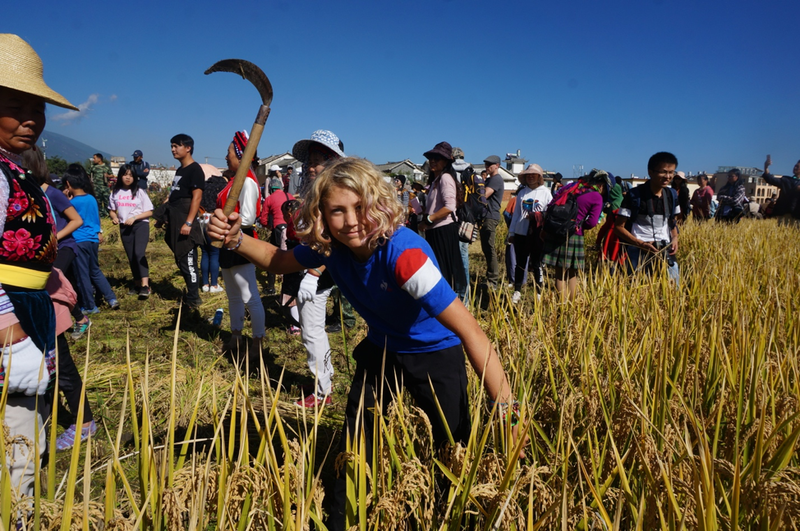 Experience showed us that harvesting rice is a true community feat. The work went quickly when many stood together around a basket to beat the grain off the stalk. The last step is to sift the rice grain. At the end of the morning team PKS harvested 90 kilograms of rice! The pre-lunch experience involves a traditional Bai music performance. Students marveled at the 龙头三弦, not just for the music it produced but also for the craftsmanship that went into the instrument itself. One can’t have a Bai fest without the 八大碗 or eight signature dishes, and we got to try some of the dishes: sour and spicy fish, pickled vegetable with pork...The pea chips were a hit! After lunch, the students went back to the courtyard where we are staying and continued writing their Dali stories. Students pored over their interview notes and discovered many compelling storylines. One student insightfully observed that while Jiama woodcarving has been in the Zhang family for three generations, the technique, style and people’s reaction to the craft have all evolved. Another shed light on the fascinating historical interactions about the Mongolians in Yunnan through discussing a local cheese-like snack called 乳扇. Watching each and every student deeply engaging in understanding the lives of their interviewees, applying the skills they learned during the SF story project and stretching themselves to learn new Chinese words and phrases was so encouraging for all the teachers. At closing circle today, students shared their perspectives on participating in the day’s Bai rituals. We asked them how they feel being photographed by strangers (which happens often), and how our desire to photograph what we see compares. We discussed cultural norms, privacy, and the conversation quickly deepened to include insights about gender, race and privilege. We look forward to continuing these discussions with them through the rest of middle school. Our group is far from home, and as a result we confront some challenges that seem exotic... but many of the lessons our students learn from these travel experiences are mundane. Some students are doing their own laundry for the first time. Others are paying newfound attention to how much food waste they generate. Still others are learning how to communicate with roommates about their needs (for example: we have one room that contains two fastidious students and two messy students; what tools can each member of the room use to avoid making the others crazy?). For all students, the discipline of self-care is a high priority. Getting good rest; drinking lots of water; putting on sunscreen; dressing in layers; eating a balanced diet... we have frequent discussions about the importance of each traveller taking personal responsibility for these things. Gaming might be tempting, but it is not restful. We have some students who love to game who have learned that reading a book during 休息 is a better way to stay healthy (our biggest gamer volunteered to give up his Switch after he got a bad night’s sleep; he has connected screen time to bad rest). And dropping into bed at the end of a long day may seem like the only option, but students now know that a quick shower to clean off the day’s grime is a better idea. We can’t promise that all students will return home and do the family laundry, make their beds, do the dishes after dinner, and be ready at the door with well-organized backpacks when it’s time to leave for school. But it’s possible. We also, of course, confront challenges that are more particular to travel in China. How can a student keep her mind focused when her body feels uncomfortable? What does one do on a bus ride when there is an hour before the next rest stop and only 10 minutes left of bladder control? What should a Taiwanese student do in the Mainland when suffering political micro-aggressions? How should our group respond when students who do not want to be photographed are being photographed? Closing circle offers us a time each night to unpack these questions and more. Now a bit on some of our activities from yesterday and today. Yesterday, we took the students to do traditional 白族tie-dye. First, students heard from the owner of the tie-dye facility, Xiao Bai. She is working to sustain a tradition that goes back nearly a millennium. She showed the students the all-organic materials used during the process. Next students used string to design their tie-dye. The most fun step: submerging the fabric in an indigo broth. Finally, they opened up the fabric and pounded out the extra dye. Today, we took a hike to the top of Cangshan mountain. We made it to around 4,000 meters, looked back at Erhai lake and Dali, before running out of energy and heading home. For many students, this was the most challenging hike of their lives, but all reported a sense of true accomplishment as we soaked in the views from the top of the mountain. Students are now back in our courtyard playing ping-pong, badminton, writing in their journals, reading, and relaxing. The power is out, so it will be an early evening. To be honest, we are thankful for the break from electricity; it will mean a night of early bed times and needed rest. Tomorrow is a day of rehearsal and promoting our story-telling event. The day after that, our students take the stage and tell Stories of Xizhou. They are nervous, but after practicing family stories at Sextant Coffee, and San Francisco stories at Daystar Academy, they know what to expect from the challenge. We are proud of them and very excited to finish this extraordinary project! On our penultimate day in Xihou, students have been feverishly preparing for tomorrow’s performance at the Linden Center. Their stories have been written and edited, and they spent much of the day rehearsing and getting round-table feedback. O Laoshi and Wu Laoshi have also been acting as “pronunciation drill sergeants,” noting when important words and phrases are not spoken with crisp 普通话. Students are also getting detailed feedback on body language, the pace and cadence of their speaking, eye-contact with the audience, and other subtle components of the art of story-telling. O Laoshi and Wu Laoshi set the day up to give students flexibility and autonomy. The students found individual workspaces in our compound (in the library; the courtyard; one of the classrooms; the TV room; the dining hall), took breaks when they needed to, and checked in every hour with a teacher. This is Project Based Learning at its best: there is an authentic purpose to the work, giving students the right kind of motivation and a productive feeling of stress. They are working hard because they will see a result in the real world (not a result written in red pen at the top of a piece of paper). After a long day of work, we rewarded the students with a trip to the main shopping area in Old Dali (about 35 minutes south of Xizhou, also on the coast of Lake Erhai). We wandered the streets of Old Dali with the lake to one side and the mountains to the other. Students practiced their bargaining skills as they bought souvenirs for parents and siblings. At our closing circle back at our compound, many students had the same rose and thorn. The rose: a feeling of accomplishment as we move toward tomorrow’s performance. The thorn: knowing that after the performance, we will need to pack for an early flight the next morning to Beijing. Each of our students misses home. They miss their beds, they miss their loved ones, they miss their comfort foods. But here, in Xizhou, they have felt just a bit more grown up, a bit closer to adulthood. And we see in their body language, in their behavior, and in their decision making that they are ready to shoulder the responsibilities of adolescence. Driven by a healthy balance of anxiety and excitement, students worked diligently and productively throughout the day. Some students highlighted new Chinese vocabulary words in order to memorize them (like the technical vocabulary of cheese making, the historical vocabulary relevant during the Cultural Revolution); others practiced in pairs to refine pace, eye contact, and body language. They gave each other feedback in a way that showed a real understanding of elements of a good speech. During dress rehearsal, one student was so nervous that her already quiet voice softened into a whisper. Her classmates not only encouraged her to carry on, but also shared their own strategies: notate the story in pinyin, divide the story into thematic sections to help memorize, imagine talking to a wall, etc. While others were practicing, some students volunteered to go to the morning market and pick up ingredients for the afternoon cooking class. They asked about exotic items like 佛手 (Buddha hand) and 豌豆粉 (pea noodles in the shape of a giant pudding), and a few braved the strange numbing sensation of 花椒 (Sichuan pepper). The afternoon was spent learning how to make dumplings and two classic southwestern dishes: 老奶洋芋 (mashed potato) and 鱼香茄子 (fish flavored eggplant). The vegetarian students were relieved to find out that in 鱼香茄子, fish is not an ingredient, just an analogy. Each student had their own work station and their cooking 师傅 “graded” them on both the look and the taste of their dishes. The dishes were impressively authentic! The final rehearsal happened in the actual event space, and students practiced walking on and off the stage without scurrying, bowing elegantly, and projecting their voice. Finally, it was show time. Every single student rose to the occasion, each in their own way. The quiet student’s voice was strong, her pronunciation flawless; two students who had butterflies before going on stage remained calm and were poised and professional. The bravest student of all - after at first running off stage due to nerves, confidently returned, with a smile, and delivered an amazing performance. It is now the end of Day 12, our final full day in China. We flew from Dali to Beijing and boarded a bus to our hotel in a re-creation Song Dynasty water town at the foot of the Great Wall. We had Peking Duck for dinner, a long walk in the town, and students are now in their rooms for their final night. We are giving them a later than usual bedtime, but not too late: tomorrow, we will have our Closing Ceremony during which students will share from their Travel Journals and do one final, long writing reflection on the trip. We are all happy, tired, and ready to come home. See you in 36 hours!